Welcome back to the one and only Showcase landscape & Irrigation blog! 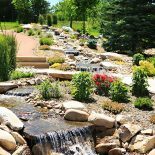 Before we go any further, let’s get one thing clear — we are your Northern Colorado landscaping and irrigation specialists, serving Fort Collins, Loveland, and Greely with irrigation systems and landscape design. More specifically, we offer outdoor living solutions that include outdoor constructions projects which completely transform gardens, decks, yards, fire pits, patios, and more into beautiful and functional outdoor spaces. We are passionate and experienced about what we do here at Showcase Landscape & Irrigation! Now that we’ve established our bread and butter services, we will move on to the promised topic of today’s blog, when and how you should overseed your Colorado lawn! 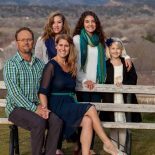 If you’ve come to this blog looking to get answers to questions like, “What is lawn reseeding?”, “When is the best time to reseed a lawn in Northern Colorado?”, or “Where do I start if I want to reseed my own lawn?” — we’ve got you covered. 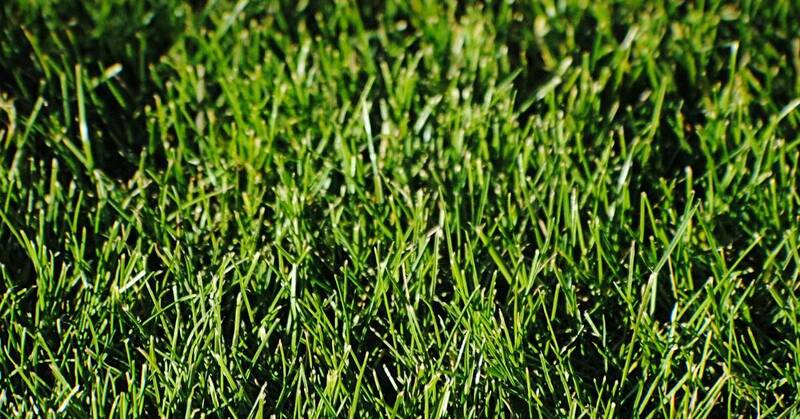 First, we’ll discuss what reseeding (or “overseeding) your lawn actually means, and then we’ll offer up some additional practical information to help you on your merry way! What Is Reseeding A Lawn? Reseeding — overseeding — an existing lawn is the best way to get a lush, vibrant yard-full of grass. Overseeding simply refers to spreading grass seed over a lawn that already exists. Reseeding is done because, as grass ages, it often thins over time (it happens to the best of us!). What’s more, most Northern Colorado yards will show signs of deterioration over time due to factors that include weather, heat, and even homeowners using the lawn for themselves! If you perform this reseeding process correctly, you can maintain the youthful, flourishing appearance of your lawn without having to start from scratch. You should find that proper reseeding will help reinvigorate your entire yard while being able to specifically address bare patches and dry spots. It’s not rocket science folks, as we are sure you know. But if you’ve never done this on a lawn before, it can be a bit intimidating. Think of these steps more as guidelines than actual rules, channeling your inner Captain Jack Sparrow as best you can. Preparation – Before you overseed, make sure you mow your lawn down to the lowest height you can. Bag the clippings as well, so that the seeds will be able to make their way down to the soil without hindrance. After you mow and bag, we recommend you go the extra mile to rake away any loose leaves, sticks, or debris that could encumber said seeds from heading south. Seed – We won’t tell you what kind of seed to use, but there are some out there which combine fertilizer and soil improvers with the seed, combining to work quite nicely. Follow the instructions on your seed bag of choice. Water – Don’t forget the follow-through! Water every day (assuming a lack of precipitation), so that you can keep the grass’ surface constantly damp. Once your seeds have sprouted and become blades of grass, wait until they reach a height appropriate for mowing before getting the ol’ John Deere out of the shed. If you live along the Front Range, Colorado State University recommends reseeding cool-season grasses like bluegrass, fescues, and ryegrass from mid-August to mid-September, whereas warm-season grasses like blue grama or buffalograss can be done anytime from April through July. 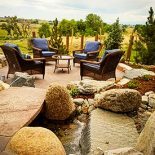 In the meantime, if you need stunning outdoor designs or professional landscaping services in Fort Collins, Greeley, or Loveland, we’d love to help you. 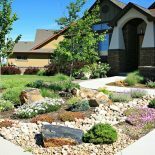 Contact Showcase Landscape & Irrigation today!